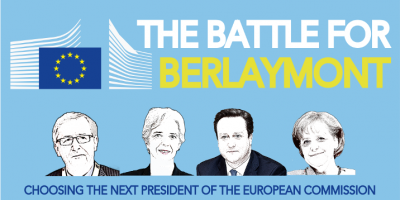 Who should be the Centre Right’s candidate for Commission President? The European Union is run by unelected bureaucrats, right? Well, it’s not so simple. The Council is made up of national ministers from elected governments, and Members of the European Parliament (MEPs) are directly elected by citizens. And this year, for the first time ever, European political parties are putting forward candidates for the position of President of the Commission ahead of the European elections in May, giving citizens a real say on who runs the EU’s executive arm (and, to give you a clearer idea what each of these candidates stand for, we will be profiling them all in the run-up to the elections). The Centre-Right European People’s Party (EPP) is now the only major party in the European Parliament that have yet to announce their “Presidential nominee” (with the obvious exception of the Conservatives and the Eurosceptics, neither of whom will be putting forward anybody). Candidates have until 5 March to throw their names into the hat, with the official nominee being chosen at the EPP Congress in Dublin on 6-7 March. Three likely contenders have already emerged, the current favourite being Jean-Claude Juncker, former Prime Minister of Luxembourg, who was also until last year the head of the eurogroup of finance ministers. 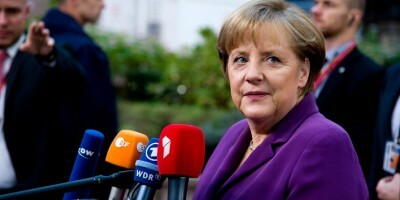 Reportedly, German Chancellor Angela Merkel is backing Juncker to win. 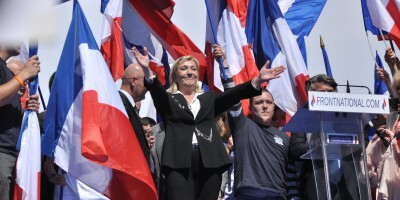 The French EU Commissioner for the Single Market, Michel Barnier, and Latvia’s former Prime Minister, Valdis Dombrovskis, have also emerged as strong candidates. Whether you intend to vote for a Centre-Right party or not, don’t forget to take part in our Debating Europe Vote 2014 to support your choice to win! We recently interviewed Mr Dombrovskis about his candidacy. Although Latvia suffered badly in the 2008 financial crisis, the country is championed by some observers as a success story for austerity. Indeed, despite Latvian GDP contracting by almost 18% in 2009, under Dombrovskis’ government the country emerged from the crisis to become the EU’s fastest growing economy and, on 1 January this year, became the 18th state to join the eurozone. In my case, I’m willing to offer my experience in dealing with the financial and economic crisis, as well as a vision for how to deal with future economic policies, how to ensure economic growth, how to deal with Europe’s competitiveness, how to ensure job creation. Those are the issues I would like to contemplate in Europe, to ensure that people see a change toward reform and adjustment towards sustainable growth and job creation. We also had a video question sent in from Franziska from Germany, who wanted to know what sort of Europe Mr Dombrovskis would like to see in 2050. So, what is his vision for Europe? Would the former Prime Minister of Luxembourg, Jean-Claude Juncker, be the best EPP candidate for President of the European Commission? 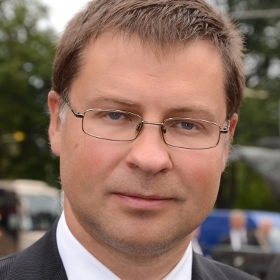 Or would Valdis Dombrovskis, the former Latvian Prime Minister, be the strongest candidate? Maybe Michel Barnier, French EU Commissioner, should lead the charge? Or perhaps you would support Christine Lagarde, Managing Director of the IMF? Let us know your thoughts and comments in the form below, and we’ll take them to policy-makers and experts for their reactions. ALL career politicans SHOULD be denied power. The problem isn’t who will be the candidate of EPP,the problem is their policies like austerity,tax cuts to millionaires and the mass privatisation of public services. Thank You, Natan, you’re right. In the UK there is no option to vote EPP, as the Tories are in the ECR group with the raving right. A pro-EU centre-right voter in the UK should probably vote Lib Dem (ALDE). Why are you against democracy? Marcel.there is no democracy in the EU,how many times must it be said. Nobody cares.All of them will harm E.U. and european citizens. At least Dombrovskis would give voters a real choice between Right and Left. Juncker and Barnier seem to similar to the socialists for me. I wish Christine Lagarde would be the president!!! FTR, right-wing/centre-right EU politicians despise the unfortunate Romanians and are unwilling to help same in their difficult hours of need. I am not a fan of Romania due to its endemic and accepted corruption BUT the average Romanian is my brother/sister and I would not want my family to be mal-treated in the same way the EU treats Romania when you compare the treatment the EU mated out to Spain, Portugal and Greece. Increase your worker productivity and the wages will follow. It is not magic, just plain factual economics. If a worker produces 400 EUR value for the company then after rent, electricity, tool costs and taxes it is very lucky if there is 150 EUR left over to pay him. Now if he produces 4000 EUR in value, then the situation is much different. German companies know that they can not afford to hire someone who will only create 400 EUR of value, so they structure their companies so that far less human work is required, thus increasing productivity of each worker. Vision…vision..vision… is missing from all European politicians… vision for a better Europe to take care of its citizens and not of its banks!!!! ahahahahahahah, it’s a joke!… Or not? I agree with another poster here, these guys are all career politicians and are in thick with the financial mess we presently have up to our necks. None appear to have any new ideas or way of thinking, so, electing the identical bunch to give more of the same policies doesn’t make a bit of sense to me. However, my choice, if I had to vote for one of these men, would be Michel Barnier. He runs on a platform of pushing for a ‘coherent single market with intelligent rule to apply everywhere.’ And that makes sense to me. As long as he is anti TAFTA I agree with that stance. But is he, I don’t know? 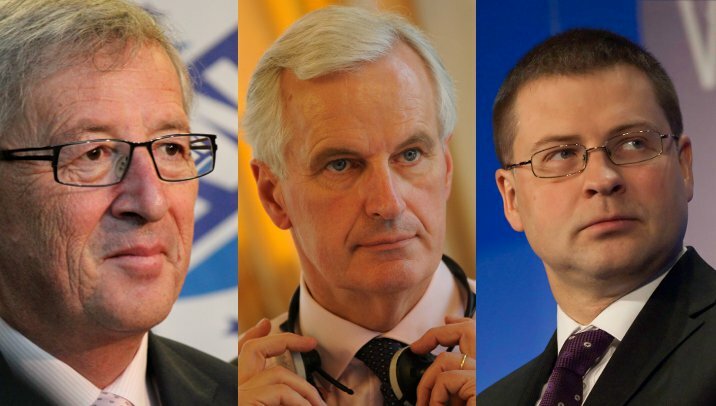 The other two are outright losers, Juncker is tarred with stories of complications in connection with security rackets. Obviously in with the spying crowd. And, Dombrovskis mind is really about physics. Even with that being an essentially mathematical brain, he was a loser in economics, as well as tainted by supermarket deaths, in which he resigned. Someone who resigns in any issue weak. Besides, the pictures of Barnier are good looking, which goes a long way toward convincing colleagues in diplomacy to stick with you. Shallow, but factual. Christine Legarde is amazing and as a woman I love her ability to mesmerize the men around her, but, she also has her hand tainted in the money pie. Hello Catherine, by and large this is also my evaluation. Barnier appears to me as the politically most emphatic of the three. For example, in 2002 when the first eu internet forum was opened to the public Barnier personally engaged in the discussions. It also seems to me that he as a French could be able to act more autonomous towards our Transatlantic friends than the other two. Lagarde is a corrupt criminal heading an organization guilty of serious economic crimes against humanity (the IMF) and is the epitome of an unqualified career politician who despises ordinary people. Why she isn’t on trial for helping western countries and corporations loot African countries is beyond me. what kind of question is this? is politics about a messiah!? where is the debate of ideas? ??? ????? ???? ??? ????????. It is precisely because the European Council/Council of Ministers is made up of ‘elected’ government ministers (most of whom are appointments rather than elected) that increases the undemocratic-ness of the EU system. These government ministers increasingly seek to use the European Politburo (Barroso’s fellow kommissars) and the Council itself as a tool to bypass national parliaments that refuse to pass their plans. And no, the European ‘Parliament’ isn’t a democratically elected parliament. First of all it isn’t a real parliament and second these socalled elections are anything but democratic. Plus the absence of an EU-level/European level ‘demos’ makes it impossible for anything EU-level to be democratic in any way. So whoever wrote the introduction on this debate, particularly the first paragraph, either is clueless on the meaning of democracy or is being deliberately disingenious. And the elevation of that clueless Junker fellow would prove the point that the EU is a career gravy train for failed or voted-out politicians. You see, you can vote your politicians out, but the Eurosoviet will look after its own and provide them with an income-tax-exempt job. I write this and I throw it like a message in a bottle. Without hope that someone will find it, read and hear it. I write this because I shipwrecked far from home and although I am on the Holy land, where my body does not need anything, my soul suffers from what is happening to Bulgaria and to the Bulgarians! The second invasion of the Balkan Huns in Europe did not take place and everyone clearly understood that these are scary tales for frightening a naughty voter. Now in turn I would like to explain to the European politicians why Bulgaria has the right to be part of the EU and why those pesky poor people ? the Bulgarians had settled on one of the most beautiful and attractive areas in the world. The year is 718 and Constantinople is for three years now under the siege of the Arab – Islamic colossal force, which consists of 2,000 ships and between 120 000 and 200 000 soldiers. Across the continent, the Arabs had already settled in the Iberian Peninsula and will remain there forever 7-8 decades. On their way to conquer the whole of Europe sits only Constantinople and Bulgaria. In the early morning of August 15, the Bulgarian King Tervel swept the Arabs suddenly from behind. He saved Constantinople, the Eastern Roman Empire and Christian Europe. The powerful Islamic navy returned only with 5 ships. This puts an end to the Arab invasion of Europe for the next six centuries. If it were not the Bulgarians, how would have develop the familiar world, we can only guess! Would there be a Renaissance paintings? What music would had been written by Mozart and Beethoven? How would the Gothic cathedrals appeared? Would the European woman enjoy the same rights and freedoms? ……. This is why Bulgaria exists by God?s will and blessing! We were young and strong country and helped you. Now we are the oldest and the illest member of the European family and in return we need the help of the Christian world. Our own immune system (our politicians) that have to defend Bulgaria eagerly destroy the state. We do not ask for money, but for your experience, advice, information …… everything you can do to stop this deadly process. And also be responsibly and conscientiously care for this particular part of the European home and especially about Bulgaria, because it is the gateway to another world (with all my respect to that part of the humanity). And when that door is weak and succumbs, usually nothing good comes through it and when it comes it will quickly go to Vienna and to Berlin …. ! Inside your home, you can do any reshuffle of comfort …… you can move sofas, destroy even the walls and columns, but in order to sleep peacefully, the front door must be strong and secure. You would think that with this role, you will do better than us? Please come and do it! I would just like to remind you that for 1400 years Bulgaria attended the birth and burial of more powerful and ambitious empires. Once you turned back to us and forgot that we exist for about 600 years. And because of this irresponsibility the Balkans barely survived and the “mother” of Christianity – Eastern Roman Empire perished. Would Europe now feel more comfortable if the Bosphorus was within the EU? European politicians, protect this “door” ? Bulgaria, it is now your responsibility! To find out more tangibly what I want to tell you tonight when you get home to your loved ones after the cozy family dinner, kiss the children for “good night ” and turn off the alarm, release the security and open widely the front door and lie down to sleep! I wish you a good evening and good night!
? ?th are dangerous for european citizens and E.U.Proved friends of market vultures. Dombrovskis has been the least politically minded elected official in Latvian history – he was brought in to fix the economy and that is exactly what he did even when lead economists were certain that what he was trying to do was impossible. He is pragmatic and logical to the core, even somewhat dry and geeky with impeccable work ethic. He was pushed out, because his job was done – economy is fixed now, so the old political elite can go back to the old ways of tearing it apart. He had absolutely no relation to the supermarket collapse (unlike the pro-Russian government of Riga, who were supposed to oversee that construction and instead cut funding to the oversight board while increasing spending in other areas where it is easier to skim some funds, oh and those guy did not even consider resigning). Dombrovskis showed what a non-political elected official should be doing and how, even if it was perfectly clear that others do not wish to follow that example. EU needs some of that. Centre-Right politics made the Crisis of today. Who should be: no one!!!!!!!!!!!! Valdis Dombrovskis will be an interesting rival for Martin Schulz. Just have Angela Merkel decide. She decides everything anyways. Radoslaw Sikorski. It’s time for a politician from a “new” Member State to take up this role. He is pro-Europe and a way to counter anti-EU sentiments in Poland and other new MS. Also a good signal to Russia. Sikorski is anti-democracy. 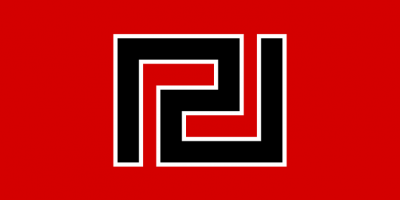 He wants to give more powers to the Eurosoviet Union and strip them from the member states. ?he 3 will hurt equally E.U.European citizens deserve to get rid of their catastrophic works. The one who respects the right to life from conception to its natural end AND the principle of the subsidiarity. I don’t like none of the above, with emphasis on Juncker because it’s supported by Merkel. Some are more “equal” than others under former DDR concept.